A chiropractor, who fled Sonoma County CA before he was convicted of sexual battery and annoying or molesting eight female patients or underage employees at his Santa Rosa practice, was captured Thursday in Playa del Carmen, Mexico, the Santa Rosa Police Department said. Daryoush “Darius” Bunyad, 36, of Petaluma, failed to show up in Sonoma County Superior Court to hear a jury’s verdict on March 9, 2017. He faced eight years in prison for six felony sexual battery by fraud charges and six misdemeanor counts of annoying or molesting a child. A no-bail warrant for his arrest was issued when he disappeared, and Santa Rosa police put Bunyad on its Most Wanted Fugitive list. His attorney Richard Scott said at the time he was concerned about his client’s welfare. “I saw a total change in him. He may have felt shame,” Scott said. “His family is from Afghanistan and he was born in the Middle East,” Scott said. A Playa del Carmen resident called the Santa Rosa Police Department’s sexual assault team on Nov. 26 to report Bunyad was living there, Santa Rosa police Sgt. Brenda Harrington said. The resident emailed photos of Bunyad in Mexico and investigators determined they were indeed of Bunyad, Harrington said. The U.S. Marshals Service Pacific Southwest Regional Fugitive Task Force assisted in locating and arresting Bunyad, who is now in the Los Angeles County Jail, Harrington said. Harrington said the person who provided the tip about Bunyad wants to remain anonymous, and when Bunyad will be returned to Sonoma County is not being disclosed. “This apprehension was truly a success due to tips and leads from members of our community. 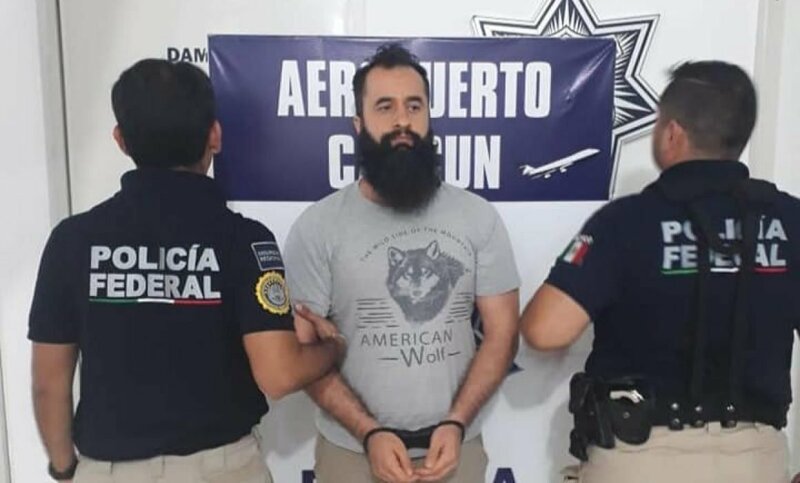 On behalf of the Department and Bunyad’s victims, we want to extend a big thank you to the Playa del Carmen resident for the final tip which led to Bunyad’s arrest,” Harrington said. Some of Bunyad’s victims were notified of his capture before police issued a news release today, Harrington said. One of Bunyad’s victims has filed a civil suit in Sonoma County that seeks medical expenses and damages against Bunyad and his business. The trial began this month. Santa Rosa police began investigating the allegations against Bunyad at his Health Performance Chiropractic office in Santa Rosa in 2014 and received information in 2015 from a school counselor who reported incidents involving a juvenile. Bunyad was arrested Nov. 20, 2015. Some of Bunyad’s juvenile victims were high school cheerleaders or athletes, and the adult victims were between 27 and 51 years old, according to testimony at his trial. All the minor victims testified as Jane Doe. Victims said Bunyad touched their breasts when they were clothed or bare-chested and their pubic and pelvic areas and buttocks during chiropractic treatments, which for some underage female employees were part of their compensation as employees. Deputy District Attorney Jason Riehl argued at trial that Bunyad’s conduct was for his own sexual arousal and gratification. Riehl said Bunyad claimed his treatments could cure cancer, lactose intolerance and scoliosis, and Bunyad never had anyone but the patient in the room during an exam. Attorney Richard Scott said Bunyad’s treatments entailed whole body healing and touching. Scott said Bunyad had 3,000 patients and only a small percentage made sexual allegations. Scott told the jury other victims reported the sexual misconduct only after they read news accounts of Bunyad’s arrest, and the California Board of Chiropractic Examiners found no evidence of sexual misconduct. The suspect was finally arrested by Mexican federal police in a property located in Colonia Gonzalo Guerrero on Calle 26 Norte, in Playa del Carmen, Quintana Roo.